The PMO has ordered taxmen to fill the revenue shortfall, which could only mean one thing: More surveys and pressure to deposit more advance tax. New Delhi: Staring at a massive shortfall in revenue from direct and indirect taxes, the Narendra Modi government is all set to unleash the taxman on you. Strange as it may sound, it is true that ‘Raid Raj’ could well be on its way back. The decision, sources in the Finance Ministry told ThePrint, was taken last week at the “highest level” — The Prime Minister’s Office. The PMO asked the tax department to “use whatsoever means are required” to bridge the revenue shortfall of about Rs 1.5 lakh crore in indirect taxes, including revenue from customs and GST, and Rs 1 lakh crore in direct taxes, which include income tax, etc. In the case of direct taxes, the Central Board of Direct Taxes (CBDT) has been asked to take up the revenue targets. This, sources in the Income Tax Department said, can mean only one thing: More surveys and pressure on individuals and corporates to deposit more advance tax. “There is no way even the existing targets can be met. The shortfall is huge. But to ask the department to bring in more revenue will give the tax inspector a free hand to use the stick more than it is necessary. You wait and watch,” said a senior officer of the IT Department. With Lok Sabha elections round the corner and government planning to open its purse strings to lure voters, the revenue deficit could act as a deterrent to its plan. 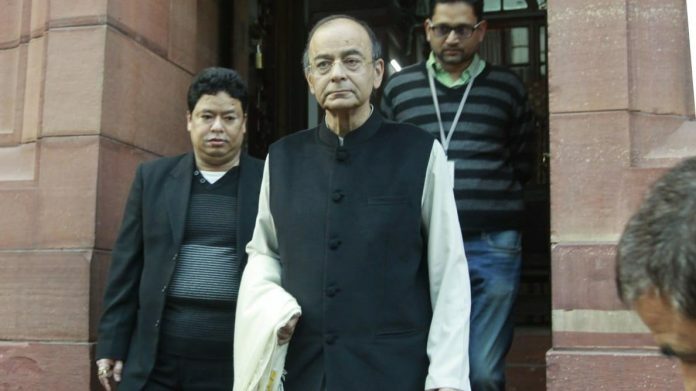 Revenue Department officers also held a detailed meeting with functionaries of the CBDT and Central Board of Indirect Taxes and Customs (CBIC) Tuesday to send down a clear message about the seriousness of the decision. Following the meeting, senior functionaries of the CBDT also held a video conference meeting with all principal chief commissioners of income tax, telling them to “do the needful” and spread the message. Interestingly, a communication issued by the principal chief commissioner of income tax, New Delhi, to all the chief commissioners of income tax in the Delhi Zone clearly indicates the way things are moving. The letter, sent Tuesday, while informing the chief commissioners about the review meeting to be held on 18 January, asks them to bring data about targets vis-à-vis actual recoveries by their teams. The agenda of the meeting makes for interesting reading. Apart from routine items like “recovery of collection and current demand”, “completion of non-time barring assessments” and “verification of TDS deducted but not deposited”, the agenda also talks of “adding new assesses through official data and local information” and conducting “surveys for detecting tax evasion and for recovery of arrears”. The officers have also been asked to provide data of “number of properties attached and plan for auction of property” as well as plans for “prosecution, compounding and conviction”, the letter, accessed by ThePrint, states. GARBAGE HANDLING IS A VERY TEDIOUS TASK.IN CASE THE PRESENT METHOD RESULTS IN COST SAVING AND TIME SAVING ALONG WITH RECOVERY OF PRECIOUS LAND IT MUST BE ADOPTED IN ALL THE BIG CITIES AND TOWNS IN THE COUNTRY. Shameless Reporter & Shameless management peddling fake news. Fake news , you are killer of employment .